Home / Trucks Lorries / Plan# 286 Scale Model Series 1:27 Dual Nationality Reefer Trailer Extension Plan! 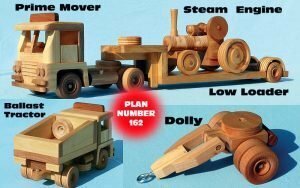 Once you build a prime mover using a plan like #280, you are going to need a payload. So grab the trailer plan #285 (below) and extend it using this Reefer style extension. Click the pic to read more! Plan# 286 Scale Model Series 1:27 Dual Nationality Reefer Trailer Extension Plan! 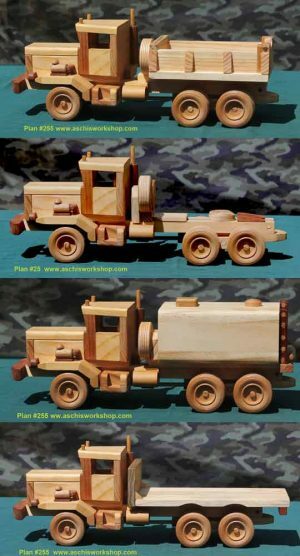 Once you build a prime mover using a plan like #280, you are going to need a payload. So grab the trailer plan #285 (below) and extend it using this Reefer style extension. Click the pic to read more! 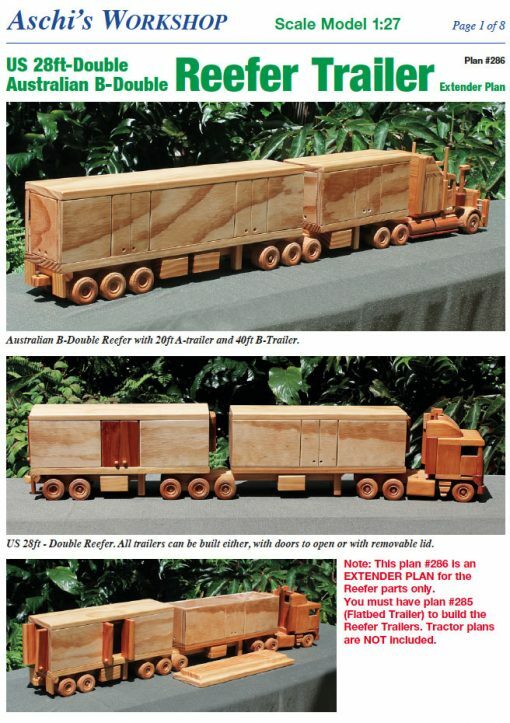 Scale Model Series 1:27 Dual Nationality Reefer Trailer Extension Plan! Once you build a prime mover using a plan like #280, you are going to need a payload. So grab the trailer plan #285 (below) and extend it using this Reefer style extension. Click the pic to read more! Code 286: Scale Model Series 1:27 Dual Nationality Reefer Trailer Extension Plan! Once you build a prime mover using a plan like #280, you are going to need a payload. So grab the trailer plan #285 (below) and extend it using this Reefer style extension. 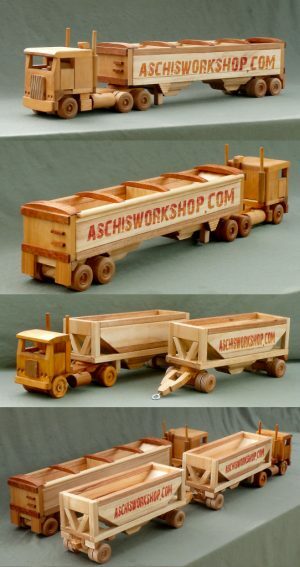 This beautifully scaled set of trailers is just perfect to finish off your new model. Build your with opening doors or opening roof to suit your work! 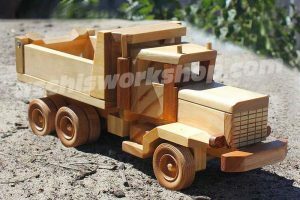 Detailed enough to make a smart looking model and robust enough to be a treasure toy for your grandchildren and generations after. Click the thumbnail to see larger images, you will be impressed . . . and so will anyone who sees your work after building from these well-made plans. Build the Australian or USA version from the same plan, this is a great value plan. 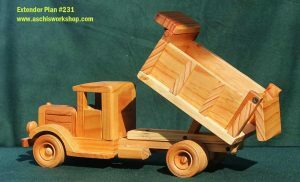 Plan# 234 Scale 1:20 – Tuff Truck Tow Truck Expander Plan – Builds extra trailers for Tuff Truck Plan 230 (which must be bought separately). Plan# 243 Grain Trailer -Scale series 2 for 1 Plan. 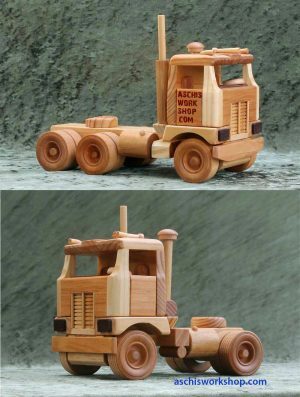 Designed to fit Scale 1:27 Road Tractors. 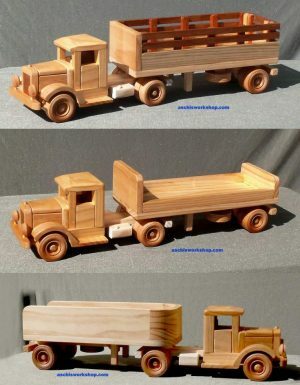 Plan# 250 Scale 1:20 -Legends of the Highway – Two Truck = Double Value Plan! Just like the real thing, these bad boys are BIG MODELS.